Flying Doctors of America landed in the Coachella Valley last week joined by Congressman Raul Ruiz who represents California’s 36th Congressional District in the U.S. House of Representatives which includes the eastern part of San Bernardino County. The nonprofit Flying Doctors of America consists of a team of health professionals both local and others who volunteer and treat thousands of patients all over the world, Last week for the 27th year, their mission included those in the Coachella Valley. During last week’s event chiropractic and counseling services were also available. As a medical profession himself, this marked the eleventh year Congressman Ruiz has participated in the event. According to Ruiz, there is currently one doctor per 9,000 residents in the area and that number is even worse when it comes to other healthcare professionals. 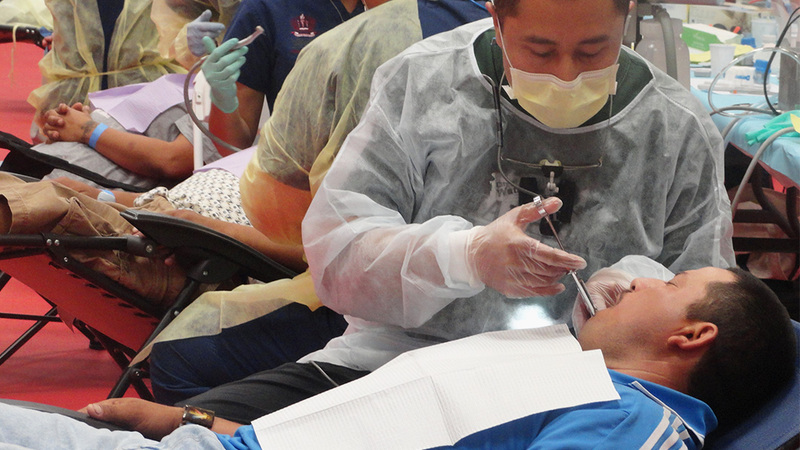 The shortage is three times as bad for dentists and mental health specialists he explained. Ruiz further commented on the need to expand access to health care for everybody in the Coachella Valley. In November, local voters will have an opportunity to vote to expand the Desert Healthcare District to the East Coachella Valley. The Desert Healthcare District is a local government agency established in 1948 whose mission is to achieve optimal health at all stages of life for all District residents. It includes more than 200,000 residents and encompasses the cities of Desert Hot Springs, Palm Springs, Cathedral City, Rancho Mirage, Palm Desert (west of Cook Street), and unincorporated areas of Riverside County. The District and its affiliated nonprofit Desert Healthcare Foundation, together, are one of the largest funders in the Coachella Valley. It grants more than four million dollars annually to nonprofit, community-based and provider organizations that are used to assist residents, especially the underserved.